Colorado State University-Pueblo's Graduate Studies in Teacher Education program provides a broad array of post-baccalaureate education programs with a strong professional focus and firm grounding in the liberal arts and sciences. We deliver high quality graduate credit activity-oriented professional development experiences for post-baccalaureate students in the primary and secondary education industry. Graduate workshop formats vary from traditional face-to-face to correspondence and online courses delivered nationwide through a series of academic partnerships between the University and third-party providers. Colorado State University-Pueblo's Division of Extended Studies partners with individuals, schools, and organizations across the nation to deliver high quality, graduate level, activity-oriented professional development experiences for teachers. School districts, principals, in-service and professional development coordinators who would like to offer in-service courses for credit may be able to offer graduate credit to their teachers through Colorado State University-Pueblo. Graduate credit offered under this option is available only to licensed teachers, principals, or other school administrators. Due to the large variety of in-service training programs provided by schools, CSU-Pueblo Extended Studies does not have a list of pre-approved, in-service courses or courses for re-certification offered through Extended Studies. Each course is evaluated individually. CSU-Pueblo staff can provide a sample course syllabus upon request. There must be at least 15 contact hours required for each credit requested (1 credit = 15 hours; 2 credits = 30 hours; 3 credits = 45 contact hours). A qualified instructor from the school or district must teach the course content and grade student work. Please see the section below on "Instructor Approval Process" for more information. After all requested materials are received, they are evaluated by the Associate Dean of the Teacher Education Program or other appropriate department Deans (ART, MUSIC, etc.). Once approved, the school or district representative will be contacted. Instructors for these courses are not issued a CSU-Pueblo contract and the courses are taught at no expense to CSU-Pueblo. The course is taught on either a volunteer basis or the instructor is paid through another source. Tuition is $55.00 per credit hour (subject to change), payable to "CSU-Pueblo". Tuition is due at the time of registration. Upon course and instructor approval, each school or district course coordinator will be provided with course registration forms and grade submission sheets. The forms may be duplicated locally if necessary to register students. The registration forms must be completed as indicated and returned to the CSU-Pueblo Extended Studies office by the established date(s). Forms submitted after the established date(s) may not be processed in time for the current semester. Unless prior billing arrangements are made, each registration form must include a check, money order, or charge card data for the exact amount of tuition. For more information, contact the Division of Extended Studies at 800.388.6154 or extendedstudies@csupueblo.edu. Students who have an assigned CSU-Pueblo Personal Identification Number (PID) can access a variety of new web student services, including the ability to View Print Unofficial Transcripts. Students can also pay for Official Transcripts by Mail or Fax. Before ordering official transcripts please ensure your grades have been posted by reviewing your unofficial transcripts here: PAWS. Students can access their PAWS account through CSU-Pueblo's Current Student tab at the top of the website. Click on the PAWS icon. To log in, enter your PID and your PIN. The first time you use PAWS, you will need to click "Change Pin" and will be prompted to change and update your PIN. If you are a Siedow Teacher Education student, please use the following link to register. If you are a Teacher Education student taking a course through a provider OTHER than Siedow Teacher Education or Learners Edge, please use the following link to register. How do I get my PID number? Once you register with CSU-Pueblo, you will receive an initial e-mail confirming your registration. Following that, you can expect a second e-mail that will provide your PID number and instructions for logging on to view your transcript. Please allow approximately 7-10 business days. When will my grade be on my transcript? Grades are entered upon receipt. Once we receive the grade from your provider company, your grade will be entered within 3 business days. If it has been more than 3 business days and your grade is not posted, please check that you successfully registered for the course with CSU-Pueblo. How do I know that the transcript I order will be correct? Please access your PAWS student account at https://aisweb.csupueblo.edu/login.asp and view your unofficial transcript before ordering official transcripts. This will provide a preview of what you can expect to see on your official transcripts. We highly recommend that you use this to verify accuracy before ordering. There is a financial hold on my account, but I have already paid my provider, what do I do? Bills will be transferred from student accounts to provider accounts. This process may take up to 1 week. At that point, the charge will be removed from your account and you will be able to order transcripts. If some time has passed and you are still having issues, please call 719.549.2309. If time is of the essence, ordering by phone may be possible. Contact the Records department at 719.549.2261 to inquire. I ordered my transcript, where is it? Please contact the CSU-Pueblo Records office at 719.549.2261 for inquiries about the status of a transcript. Do I get a Form 1098-T? Students taking ED 501 and ED 500 courses for credit through CSU-Pueblo are considered non-degree seeking students and therefore CSU-Pueblo does not provide IRS Form 1098-T. Issuance of IRS Form 1098-T is only required for degree seeking students. CSU-Pueblo encourages students to seek advice from a competent professional tax advisor regarding the taxation implications of education related expenses. I have questions, who do I ask? For questions regarding course content, syllabi, assignments, due dates, or provider registration, please contact your provider company. For questions regarding transcripts, grade recording, and CSU-Pueblo registration, please contact the Extended Studies office at 719.549.2309. I am receiving an error message when I attempt to log into PAWS, what do I do? For questions regarding issues with technology, please contact the CSU-Pueblo IT department at 719.549.2002. A Step Beyond: Graduate Studies for Teachers brings continuing your education and becoming a more effective educator right to your doorstep. A Step Beyond: Graduate Studies for Teachers offers the ability to work online at your own pace and choose meaningful topics for study at a price you can afford. As life-long learners, teachers raise their level of expertise and can use these earned graduate credits for salary advancement, professional development or recertification. Adventures In Education, Inc. is an organization dedicated to the advancement of excellence in teaching. Our primary objective is to provide unique and self-paced online courses in Math, Science and Technology that enable professional educators to apply immediately the skills they acquire. The approach taken is new, unique, and extremely effective. Courses are aligned with standards for teachers to renew a teaching license, advance their salary and meet professional development requirements. Visit http://www.adventures-in-education.com/ for more information. Françoise E. Netter and Body/Mind Dynamics, Inc. have provided specialized classes and services for educators for over 14 years. These courses not only offer credits to increase your salary and re-certify your teaching license, but offer subjects that can enhance every aspect of your professional and personal life. Their passion is to motivate others and use education as a resource for creativity, inspiration and transformation. They are changing one classroom at a time. Courses offered through Body/Mind Dynamics, Inc. are EXHP 591 courses. A full list of their courses offered through CSU-Pueblo is available at: http://www.bodyminddynamics.org/educators. 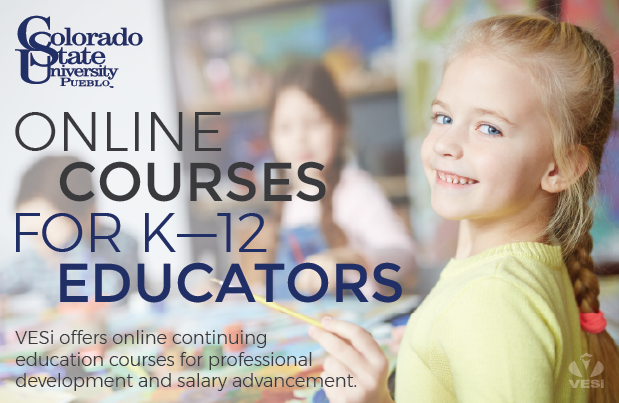 Credits for Teachers provides self-paced Professional Development courses for K12 educators. Their courses provide teachers with resources to improve their classrooms and engage their students. More information can be found at: www.creditsforteachers.com. Continuing Education Associates (CEA) provides high quality accredited online continuing education courses and professional development topics that are relevant and convenient for teachers. They are taught by expert instructors covering content areas pertinent to today's K-12 schools. Topic areas such as; Classroom Management, Instructional Strategies, Life Skills, School Counseling, Science, Social Science, Special Education, and Technology, are comprised of courses that are designed to help individuals hone their teaching skills and methods. With quality and convenience in mind, CEA courses are designed to help teachers pursue their professional development plans and accomplish their professional development goals with confidence and relative ease. For a list of courses and course schedules, visit them on the web at: http://www.continuingeducationassociates.com/csu-p-courses-available. Dewey J. Walsh, Ed.D. has been offering Graduate Professional Continuing Education Classes for 45 years through face-to-face and independent study classes, centering on how children learn, their learning differences and the current trends in education. Courses can be located at: http://www.teachersfocus.com. Dr. Tara Gray Counseling & Wellness offers affordable, convenient distance courses to maximize student achievement and social emotional learning. As an educator for 25 years in elementary, middle, high, alternative, and private schools, I offer professional development courses that provide hands on tools to help you in the classroom. Teachers and school counselors will learn the latest evidence-based techniques to engage students while increasing achievement and decreasing stress. EDPOWER's Teacher Mastery Workshop is a 4-week online program for big-hearted superhero teachers who want to be the best teachers they can be. Whether you are a brand new or veteran public, private, or charter school teacher, the EDPOWER Workshop experience will help you accelerate your path to teacher mastery, and fulfill your salary advancement and recertification needs. This is not your standard self-paced go-at-it-alone online professional development course. The Workshop brings together top teachers from around the US to explore efficient, science-based and thoughtful ways to become more impactful in the classroom and admissions is by application only. The Teacher Mastery Workshop is held a handful of times each year. To apply, or for more information, visit www.edpower.co. EdPractica is dedicated to providing high-quality professional development for teachers. Operating primarily in Pueblo, Colorado and surrounding counties, our team of educators provides practical, applicable and low-cost higher education. Partnered with Colorado State University-Pueblo our company is ready to make teachers learn and grow, with courses that offer graduate credit options at Colorado State University-Pueblo. Educators Academy provides high quality on-line graduate credits courses and professional development points for teachers from various academic disciplines and grade levels. They are ideal for Educators who seek re-certification, promotion or endorsements to develop a better understanding in key areas. Currently they offer subject courses in French, Spanish, Humanities and STEM. These courses not only address learning standards of States Curriculum Frameworks, but also offer new perspectives on developing classroom environments. For more information, visit www.EducatorsAcademyLLC.com. 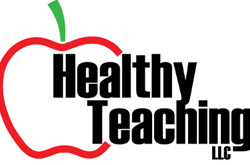 Healthy Teaching Team offers quality courses at competitive and reasonable rates available on your own timeline. Created with an educator’s well-being in mind designed BY educators FOR educators. Course descriptions are available at: http://healthyteachingonline.com/descriptions.php. iFireUp offers practical and researched based online courses to assist educators in improving teaching and learning. These courses are designed to provide useful information that can be used immediately in your school or classroom. They thrive on helping educators and many of their participants are repeat customers and frequently recommend the courses to colleagues. Please visit the iFireUp website to learn more and see course offerings: www.ifireup.com. The Institute for Graduate Studies (IGS) began as the International Graduate School of Education in 1971 in Denver, Colorado, as a non-profit institution of higher learning. IGS has conducted quality graduate programs in Wisconsin since 1971 and has been officially recognized to conduct such courses by the Wisconsin Department of Public Instruction. IGS is dedicated to developing and conducting innovative graduate study programs of high quality and scholarship. Over the last 46 years IGS has enrolled more than 60,000 graduate students in study programs in Wisconsin and over 100,000 students in a total of 39 states, nationwide. For more information, visit: www.attendigs.com. The mission of the Landmark School Outreach Program is to empower students with language-based learning disabilities (LBLD) by offering educators meaningful and effective professional development grounded in theory and practice. Our strategies help educators broaden their thinking about how to teach students who have LBLD, which falls under the broader category of specific learning disabilities (SLD). We offer consulting, graduate courses and seminars, and online courses to help educators enhance their instruction of students with LBLD. Landmark Outreach doesn’t deliver pre-packaged programs—we challenge teachers to understand the nature of their students' learning difficulties and find ways to make evidence-based practices work in their own classrooms. Visit https://www.landmarkoutreach.org/ to learn more! LEAD Legal & Educational Services, LLC partners with Colorado State University-Pueblo to provide lower cost graduate level course credit that may be applied directly to a Masters or post-Masters degree course requirement, as elective credit transferable to a Master’s program, or credit submitted for state teacher license renewal. 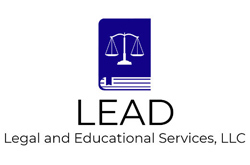 Visit www.leadeducationservices.com to learn more about LEAD Legal & Educational Services, LLC and the list of current course offerings. 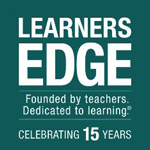 Learners Edge offers more than 90 online and print-based courses to help you achieve unrivaled success in your classroom and your career. Join thousands of educators nationwide who make Learners Edge their first choice for continuing education graduate credit. To learn more, please visit: http://www.learnersedgeinc.com/. Midwest Teachers Institute (MTI) is a national provider of inexpensive and university-accredited K-12 graduate courses for teacher professional development, salary advancement, and state re-certification. Founded by teachers, they understand the challenges facing educators and strive to provide exceptional learning opportunities at very reasonable prices. Join your fellow educators from across the U.S., Canada and the Department of Defense (DoD) and take a course with them! Visit http://www.midwestteachersinstitute.org/ for more information. For over ten years, Northstar Continuing Education has offered independent study courses on current topics of interest to educational professionals. Classes are designed with your convenience and professional development in mind. Class formats consist of readings in the assigned textbook and articles and developing lesson plans and/or writing essays. Students can register for classes anytime throughout the year. 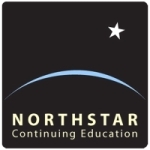 Please visit Northstar’s website for a complete list of course offerings: http://www.northstarcontinuingeducation.com/. PEAK’s Teaching for Excellence™ summer institutes are enlightening, empowering and engaging experiences that profoundly increase educator effectiveness and student achievement. Combine your best practice with new thinking and tools that will work together to achieve extraordinary student success. For more information on their summer institutes held in Vail, CO visit https://www.peaklearningsystems.com/services/institutes-academies/. School House Consultants offers a wide variety of extended studies courses throughout the year. For a list of courses and course schedules, visit them on the web at: http://www.schoolhouseconsultants.com/graduate-and-recertification-classes. SCT CONTINUING EDUCATION SERVICES provides distance learning opportunities for educators to help them with licensure renewal, salary advancement, or to achieve their professional goals. Courses are offered in both print based and online format, and allow you to find relevant strategies to use immediately within your current educational setting. For a full list of courses visit: http://www.sctgradclasses.com/courses.php. Siedow Teacher Education has been providing continuing education courses for teachers since 1985. Siedow Teacher Education partners with CSU-Pueblo to offer a variety of print-based courses that have helped thousands of teachers to become more effective educators. Please visit their website to learn more: www.siedowteachereducation.com. Simply Me offers accredited online courses for educators, which focus on leadership, empowerment and self-esteem and provide tools for your personal empowerment through: games, exercises, stories and activities. Once you have experienced the courses firsthand, you will receive training on how to independently impart these tools to your students and children. Join thousands of educators who make Simply Me their preferred choice! Teacher’s Learning Center has offered low cost graduate courses for working teachers for over nine years. Study materials and assignments are mailed to you, allowing you to study anytime, anywhere. Please visit the Teacher’s Learning Center for a full list of course offerings. https://www.tlcgraduatecredits.com. Our graduate courses are independent book studies based on authors and educators that have had a proven impact on education. We take their ideas and practices and help implement them into your classroom--guiding you from theory to practice. We offer high quality, relevant courses with the flexibility to study at your own pace. The Educator’s Place offers classes that can be applied to your classroom right away! They provide courses that are stress free, and easy on the budget. Their schedule offers 25 courses with seven different instructors, who are teachers ~ just like you! All classes are online, and paced at your convenience. 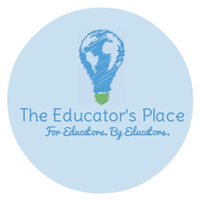 The Educator's Place is a Denver based company that meets teachers’ needs for professional development, recertification, as well as, salary advancement credits. Classes are approved for ALL states and ALL districts. Check out their offerings at: https://www.theeducatorsplace.com/. The Learning Tree Professional Development Network, LLC is an online provider of AFFORDABLE graduate courses for school professionals created by teachers for teachers! The Learning Tree delivers over 30 relevant courses for teachers that are applicable to daily classroom life! Courses provide research-based strategies and resources that teachers are able to apply immediately for successful classroom instruction and student management. The most recent and best pedagogical practices are modeled and taught by instructors with REAL classroom experience and an understanding of the increasing demands placed upon teachers. All course readings are provided at no extra cost. Courses are 6 weeks in length and entirely online! 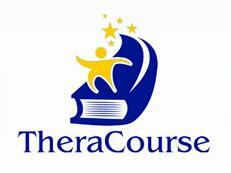 TheraCourse offers courses for Speech Language Pathologists that are affordable, focus on improving clinical skills required to work with students on their caseload and that could be fit into their busy schedules. VESi offers online laptop, tablet and smart phone compatible courses for professional educators that are convenient, relevant, affordable, and can be taken at a pace that fits your schedule. Check out the course offerings available through CSU-Pueblo at: http://www.virtualeduc.com/csup/.